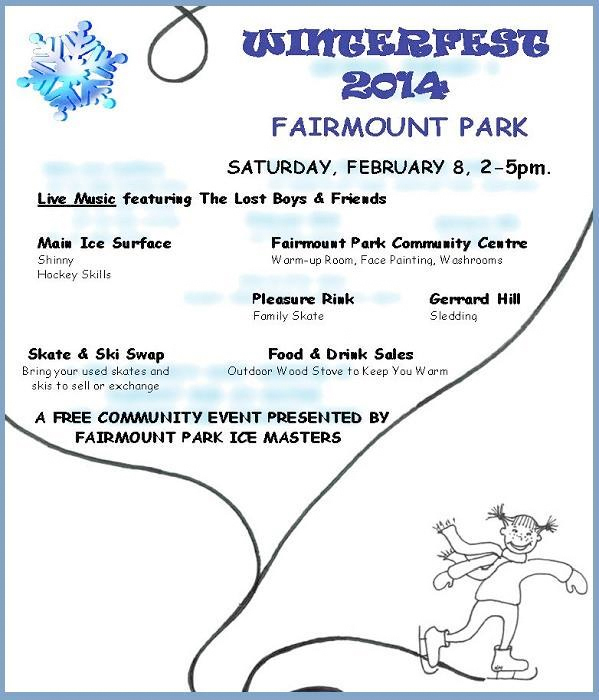 Winterfest is a free community event presented by our fantastic neighbourhood Fairmount Park Ice Masters! This winter tradition includes live music featuring The Lost Boys & Friends, shinny game and hockey skills workshops, family skate, skate and ski swap, food & drink sales, outdoor wood stove. The Fairmount Park Community Centre facilities are available for washrooms, warming up and face painting!